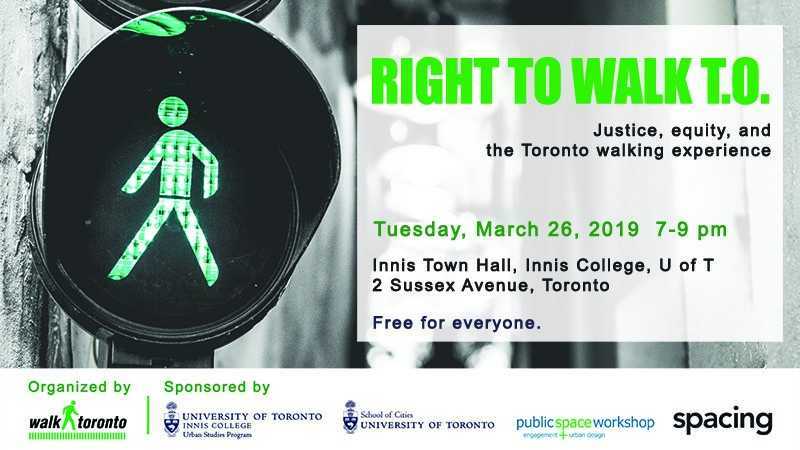 Walk Toronto invites you to celebrate our sixth anniversary with Right to Walk TO, a panel discussion that explores walking – the love of it, our need for it, and its meaning – through a justice and equity lens. This event is a love letter to walking, as well as a critical look at the walking experience our city creates, from different perspectives. ASL-English interpretation will be provided. Childminding is available upon request. We thank our event sponsors: University of Toronto Urban Studies Program, University of Toronto School of Cities, public space workshop, and Spacing. This event would not be possible without their generous support. The event is free, but we ask you to register online because space is limited.